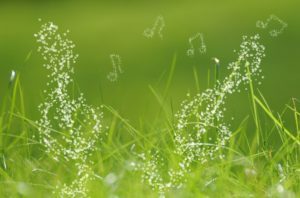 Natural Foundations in Music (NFM) is designed for music educators, classroom educators, homeschool families, parents, grandparents—anyone who wants to nurture the love and appreciation of music in children. Our program is different in what it offers partly because anyone can purchase and begin using our curriculum immediately. Whether you are a parent or teacher, we want to equip you to share music with your child or students today! NFM uses primarily classical and folk music. NFM places an emphasis on music appreciation by introducing children to the instruments in the symphony orchestra, famous composers, and musical periods. Skills taught in NFM prepare children to more easily transition to the study of instrumental music, vocal music, and/or dance. Children will utilize multiple senses while using both fine and gross motor skills. Children are introduced to basic music theory components. NFM empowers parents to be the primary teacher, allowing children the opportunity to practice regularly at home. The Classical Play portion of the class allows for creative play in conjunction with classical music. Children can begin NFM as young as infancy, listening and participating as best they can, so that music becomes a natural aspect of life, almost like a second language. 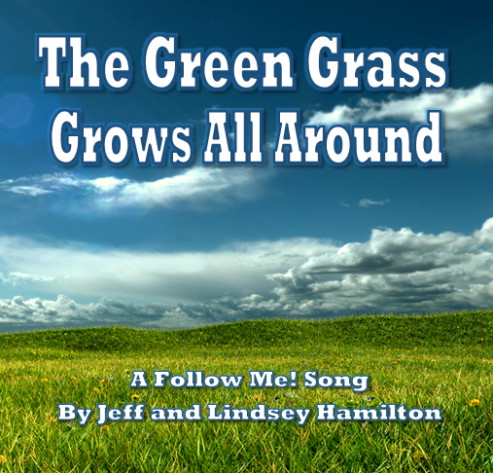 Vocals are sung with pure tone, encouraging children to sing along. Both vocal and accompaniment tracks are provided for instruction and practice. Participation in recitals is strongly encouraged to give children the experience of performing in front of a group. Here is a brief overview of the 10 major segments that make up the NFM curriculum. Each session will have a notable beginning with a bow, followed by the “Hello Song.” This is an opportunity to engage each child immediately and welcome them by singing his/her name. This component is not designed to be extremely long. It is a short exposure to instruments (year one), composers (year two), and musical periods (year three). The goal in teaching these aspects is to give children a better understanding, and therefore appreciation, of classical music. Each section starts by playing a piece of classical music. It is important to teach the children how to listen. Asking them questions before, or giving them something to listen for is helpful in creating an attentive listening experience (e.g. instrument voicing, tempo changes, etc., knowing that for some groups experiencing the music through movement is best). Warming up is an important part of any musician’s practice routine. Our curriculum includes scales in various tonalities, tonal activities and rhythm activities (like tonal dialogue and rhythm dialogue). This aspect isn’t intended to be long, but it is very important. It not only sets the discipline for proper warm-up, it also helps with basic tonal and rhythm competence (being able to sing in tune and keep a beat). Props can be fun for this activity, but they aren’t necessary. Follow-Me! songs are a great way for children to gain confidence in singing. The teacher sings one phrase and the children echo, or repeat, exactly the same phrase. This is a great skill in listening and pitch matching, as well as following directions. If the teacher/parent doesn’t feel confident singing, you can sing along together by echoing the CD recording. Creative play is a great way for children to learn. Classical Play combines creative play with classical music. Children will pretend, move and explore all while allowing the music to guide them. The teacher’s guide provides a few suggested activities to each piece of classical music, but the activity is not at all limited to these. In fact, it’s fun to ask children what they think of when they hear the music. Allow their imaginations to drive the classical play time. A great way to start this section of the class is to ask the children if they enjoy pretending or playing make-believe. This component combines vocal rhythm with specific movement to encourage multi-sensory learning (listening, watching, touching and vocalizing). For the most part, vocal rhythms will be done as a chant, or spoken. Taking out the element of pitch can help the children understand keeping a beat, using inflection to help communicate, and speaking while doing actions. Taking out that one little piece can encourage the other skills to be learned on a deeper level. These activities are done in varying meters to give the children a wide variety of meter experience. Children will build a vocal repertoire by learning to sing traditional (folk) songs with accurate pitch. In addition, they will learn about musicianship of vocal music (dynamics, tempo, tone, etc.). These songs are often familiar, which is an added benefit. It allows for more emphasis on musicianship. 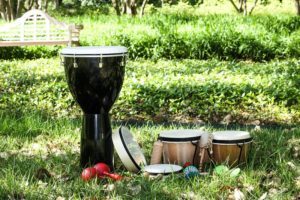 Using rhythm instruments, children will learn to move and play while staying with the “beat,” watching the teacher to follow directions. As the children gain confidence, have them stand in place to march (finding both micro and macro beats). Move to marching around the room next. It’s good to allow a few lessons where movement/playing is free and child-directed. It’s also good to have a lesson where the children are following the teacher for directions. Both are important skills to learn. Combining a great story with an unforgettable melody creates the wonder of a Song Story. Some of the song stories have an accompanying book, while others use puppets to tell the story. Remember that with these songs, the teacher is sharing the story with the class. 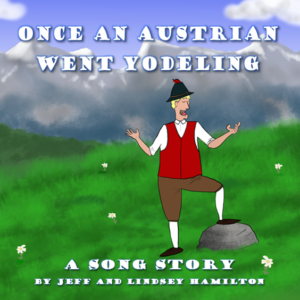 It is unlikely that the children will learn these songs well. They are participating by listening to you tell the story through music. Each class will have a notable ending by singing a “Good-bye Song.” The song is relaxing, allowing the session to end calmly, yet inspired. After the song, share a closing bow.